See-through Windows and Open Doors on a SIBSometimes, I think that even a SIB can be pushed up with special effects. One of these special effects are see-through windows or wide open doors. Especialy ships with lots of windows, such as passenger ships, or ships with a big steering-house are good for this idea. So, I found out I could take pieces of clear plastik, MAKROLON R for this intention. The measure of the deckhouse gives me at first the selection of the material i want to use. 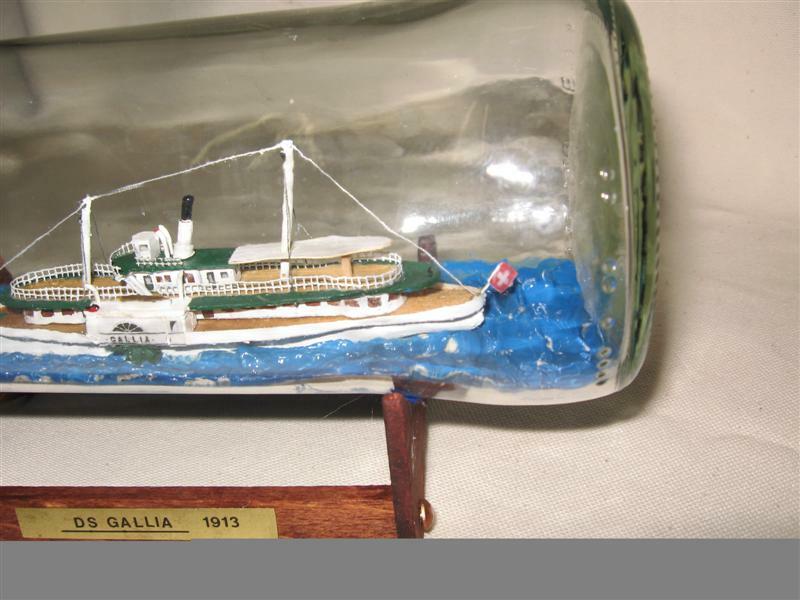 In the following example, the second deckhouse of the steam-paddel-passenger-ship "GALLIA" is 10mm wide and 5mm high. So, a piece of plastik 10mm thick comes in use. I cut a small strip, 5mm, with a highspeed elektrik circular saw as long as the deckhouse should be, and fasten it on the piece of wood, I call it birth. 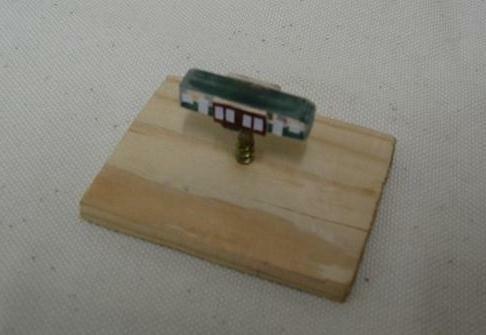 I fasten it in this way that the clear, seethrough, surfaces give me the sidewalls off the house. Thereon, I glue very small stripes and spots made from the rest of an videotape-label to cover all parts where the doors and windows are situated. 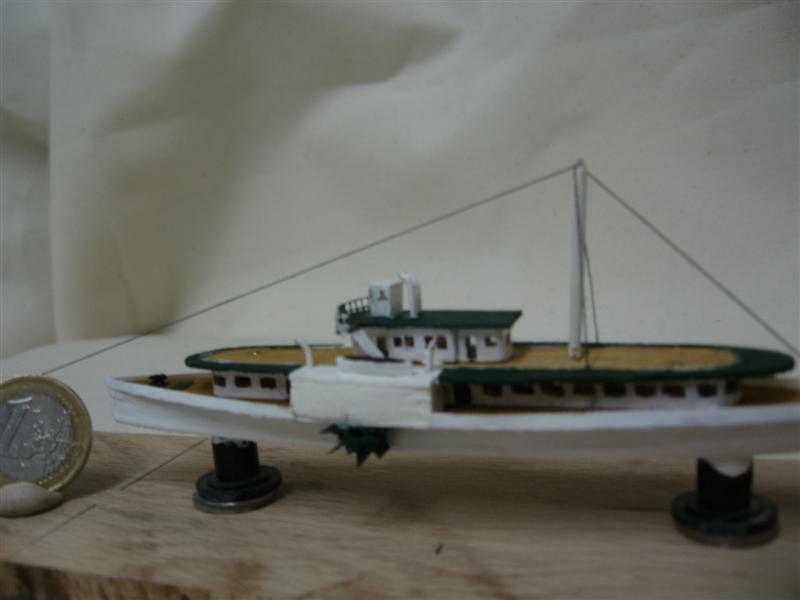 After that, I can paint the whole deckhouse in white colour. 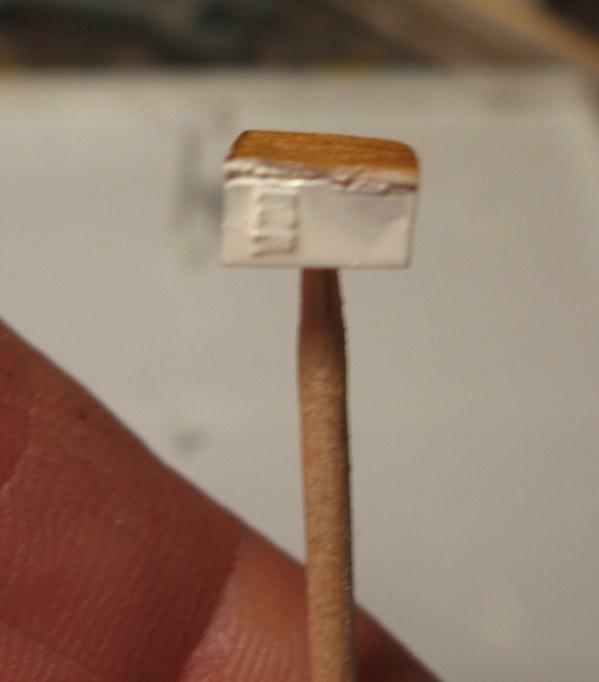 When the paint is nearly dry the labels can be remove by using a needle. The result are transparent windows. The same effect I have with the steeringhouse on the bridgedeck. Before setting the objekt on its position, I usualy paint the deck surface ´inside´the deckshouse with a dark paint similar to the deck around the house, this can top the transparent view very much. 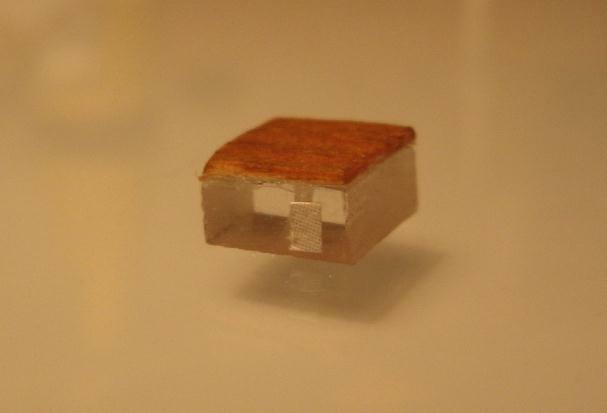 When you have the chance to find a piece of plastik with good polished edges you can realise three transparent sidewalls, specialy for the wheelhouse of fishingboats, tugboats, or yachts. For bigger ships its always enough to make this effect from the sideview visible.